I know it has been more than a week now since New Year’s Eve and ideally I would’ve given you these tips before the big event, but I wanted to write from experience and this is my chance to do it. So, brace yourselves! If you have been watching the fireworks from your TV and you have promised yourself to go and see them live next year, these tips will help you go prepared. Stephen and I watched the fireworks in London. As you can see from the video, they were pretty amazing! The best I have ever seen live! However, we had to pay a hell of a price for that life’s pleasure. Here is what we had to consider and go through in order to enjoy 11 minutes of breath-taking show. 1. Arrive way in advance. 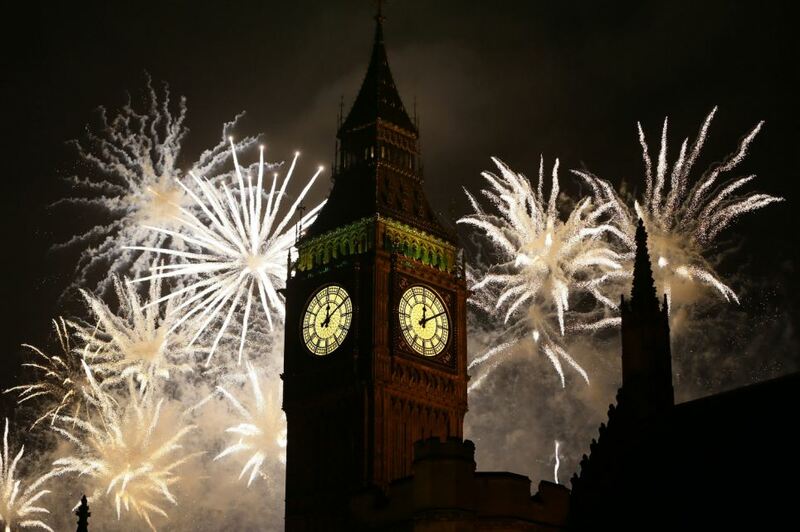 If you want to enjoy fireworks in any capital city – Sydney, London, New York, Dubai, you have to go early and “reserve your place”. This will ensure you have the best view. How we did it: We arrived at Westminster Station exactly at 8 pm. We had a dinner in a restaurant nearby and made our way to the area assigned for watching the fireworks. This means you might have to wait for some good 4 hours. 2. Keep Warm. In Australia December is the height of summer, but in London it was just 3 degrees C. We have never been so cold in our lives. I was with fever even though I put the warmest clothes I had on me. How we did it: We took a Thermos with hot chocolate to keep ourselves warm. You can take coffee or tea, depending on your preferences. Other people brought lots of alcohol. 3. Alcohol. If you want to bring champaign or other type of alcohol, check announcements in the official websites of each event. For instance, we read that all alcohol and liquids must be in plastic bottles. So, if you want to bring your own booze, make sure you put it safely in plastic bottles. How we did it: We would’ve taken with us either wine or champaign, but both of us were ill and we were taking medicines, so we decided to skip the alcohol. 4. Mind the drunk people. There are many people who seem to attend this kind of events just to get drunk and in trouble. You have to be very careful and choose the people around you wisely. If you notice any suspicious or irrational behaviour better move away. How we did it: We witnessed two or three fights while we were waiting for the fireworks to begin. We simply tried to keep away from the gang causing trouble and tried to be patient to people who were pushing us. After all we were 250,000 people all in one place and that could be a little too much to handle for some. 5. Check on your camera before the fireworks begin. Experiencing fireworks of this kind might be a once-in-a-lifetime experience. The worst that could happen to you is a broken camera, missing SD card or low battery. How We Did It: We discovered that our camera gave up on us just 10 minutes to 12. It was really disappointing to see the “Lense error” message on the display of our camera, but at least we had time to take out our phones and use them to make videos. 6. Prepare to queue on your way back. All of these people will want to leave after the fireworks are over. This should come as no surprise. This results, unfortunately, in huge queues. How we did it: It took us around 2 hours to go back to the hotel room. We were walking and waiting to get on a train for more than an hour and a half. 3. It took 200 cleaners London to clean the mess for 6 hours after the craziness was over. 4. The Emergency services received more than 2,500 calls between midnight and 5 am. At some point there were more than 600 calls per hour.